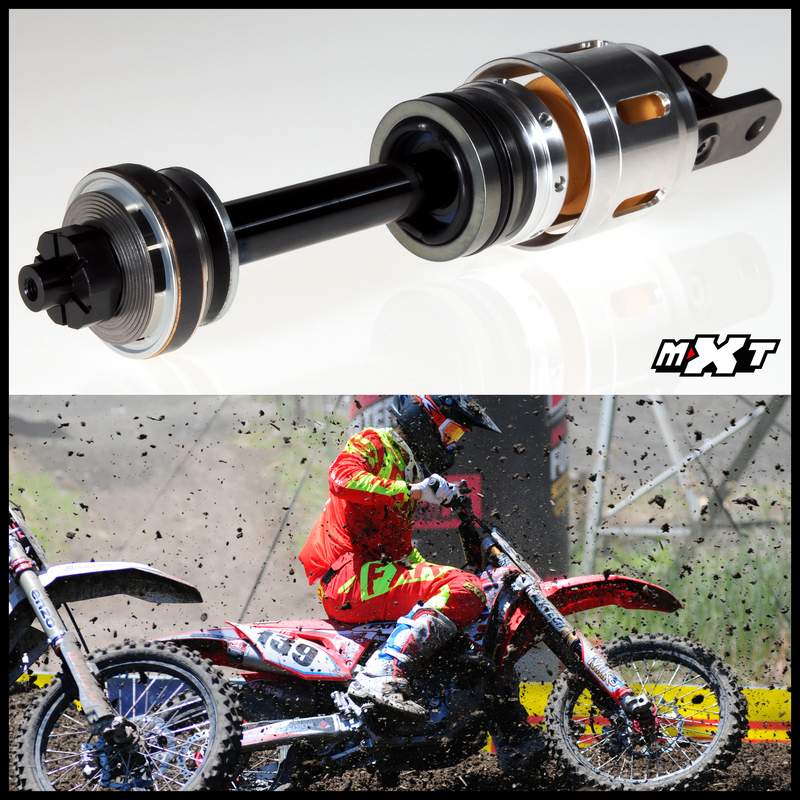 The MXT 5050 shock system puts works components from the MXT National shock into the existing Showa shock body. This delivers valuable performance characteristics that will benefit all demanding ride styles. This is a true upgrade over the stock shock that you won't find anywhere else. The 5050 combines over 25 years of industry experience and Jeremy's commitment to offer the best in the MXT brand. All of our products are tested both in house and by B2B customers and riders at every level of racing dirt bikes. Previously, Jeremy has worked for factory WP as a suspension tuner, he has met with designers from Showa, KYB, Ohlins and colleagues worldwide. Upgraded 18mm induction shock compression rod assembly that is DLC coated for low friction and durability with an MXT integrated seal head and end cap for managing radial loads that wear OEM components. PHOTO: 2018 Colorado National, rider Nathan LaPorte riding the MXT 5050 shock system. Click the button below to add the MXT 5050 Shock System for Honda to your wish list.